Linderöd pigs are from an old Swedish country breed which has never been bred for any special purpose like appearance or production. The breed’s variation is important to preserve including personal characteristics. These pigs thrive best when they can be outdoors, even in the winter. They have retained their natural behaviours regarding farrowing and foraging. This old country breed grows much slower than pigs in production but they are resistant and clever att foraging. 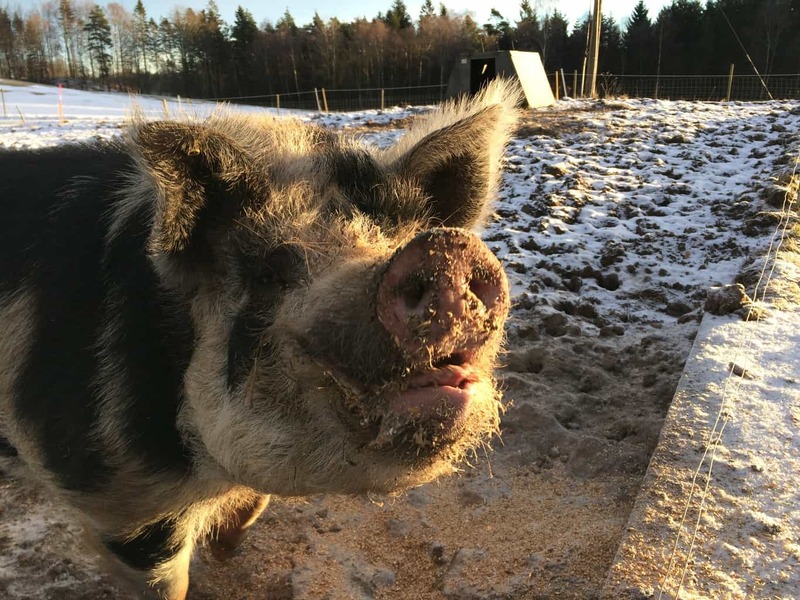 Linderöd pigs have their origin in the old Swedish forest pig breed, which was found in South Sweden’s beech and oak forests until the end of the 1800s. The breed was preserved when Skånes Djurpark/Zoo took care of several spotted pigs from Linderöd in 1952. Linderöd pigs are categorized as endangered-preserved. The trend is moving slightly upward regarding the number of Linderöd pigs which are included in the genetics bank. Linderöd pigs are not as long in the body as modern breeds. They have a small, round body shape with strong legs. The animals have a gray-white, reddish brown or sometimes a yellowish base colour and usually have black spots. The gray-white ones usually have only a few but large spots while the reddish brown pigs have often many and smaller spots. One-coloured animals can be found. Linderöd pigs har medium sized, somewhat bent ears. The snout is straight and well developed. They have very good parenting qualities and good foraging and feed conversion abilities, even for domestic feed with low protein. 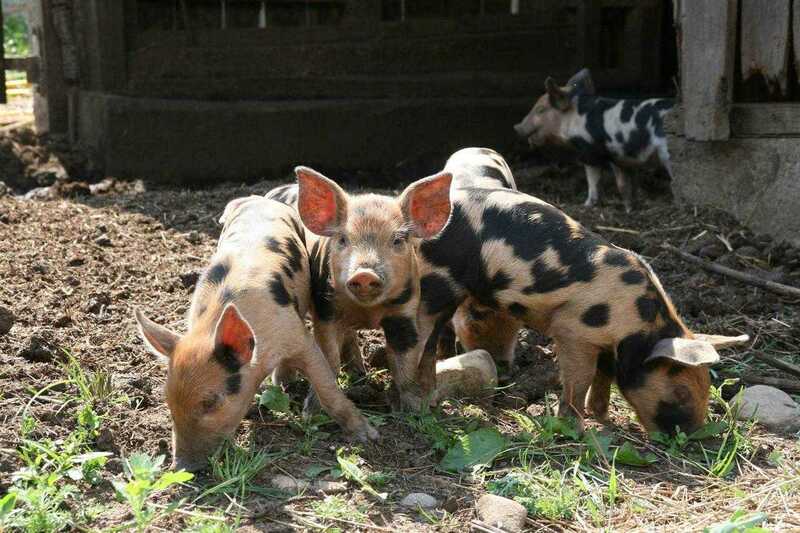 Linderöd sows have an average of eight piglets with a high survival percentage.